This coat is a modern twist on the classic puffa coat. 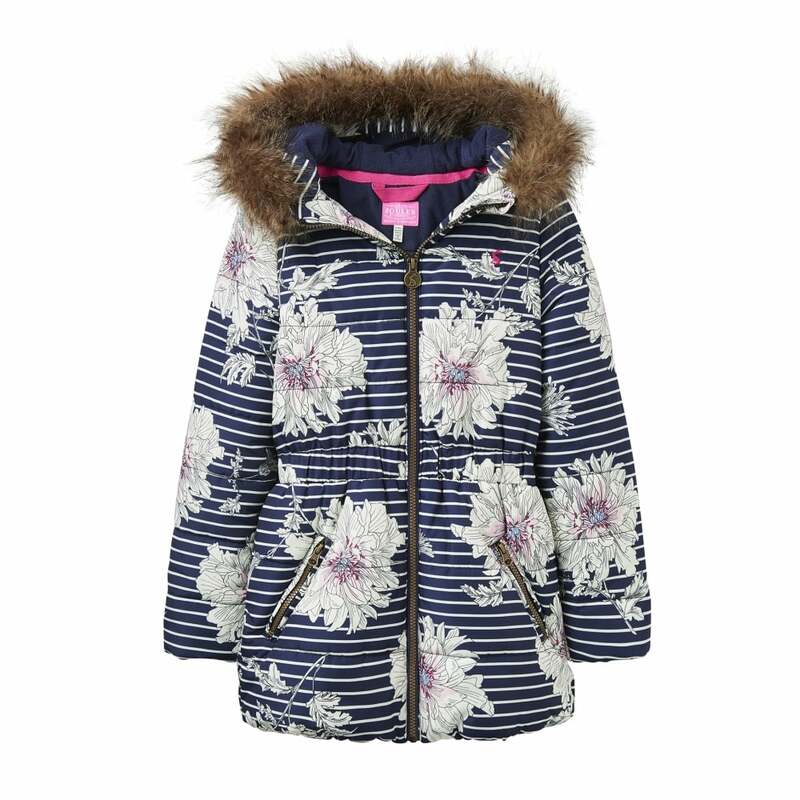 A funky design is sure to turn heads making this puffa stylish but practible as it is designed to be worn in freezing temperatures with a nipped in waist for extra warmth. The hood is trimmed with faux fur for extra warmth and zipped front pockets mean that little fingers can be kept cosy too!